Fresh from the section “Useful Tools”, the brand-new CSS preprocessor Roole rightfully draws some attention. Roole stands in line with Sass and LESS, which might sound like the reinvention of the wheel at first look. 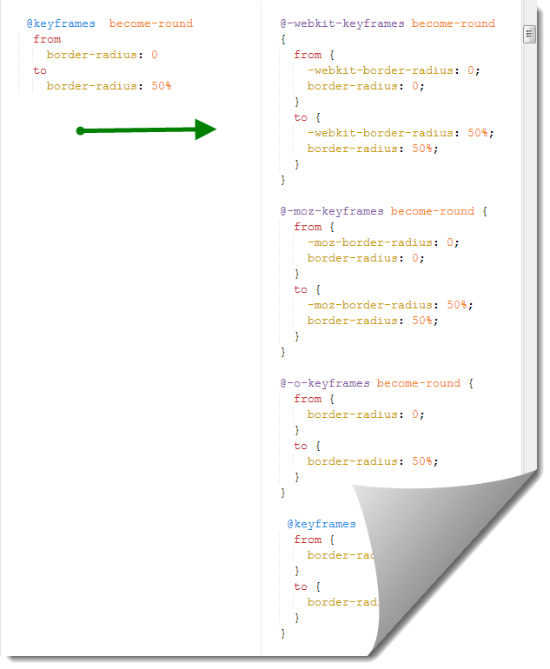 Roole combines programmer’s logic with stylesheets and allows for simple and complex results in a time and code saving way. 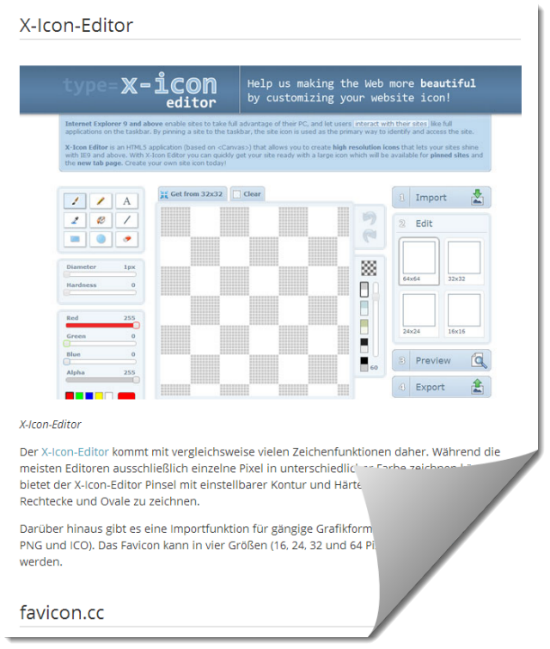 The demo site has lots of examples. Roole.org/test lets you check, whether your browser supports it and to which extent. My Chrome, running under Windows 8 Pro, made the whole way through. Roole is in its infancy and can be downloaded from Github under MIT license in version 0.1.2. Readability is improved. So far, so good. 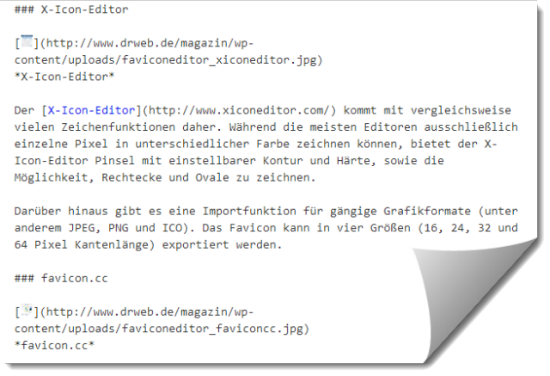 A good use-case would be, if you could copy and paste the Markdown for further editing. But it is exactly this, that is not possible. If you copy and paste, you lose the complete Markdown part. Thus, Markdown.css, realized using LESS, is a mere experiment. What I like the most is, what can be learned from the sources. I got inspired by Markdown.css and its LESS base. Thanks, Peter. 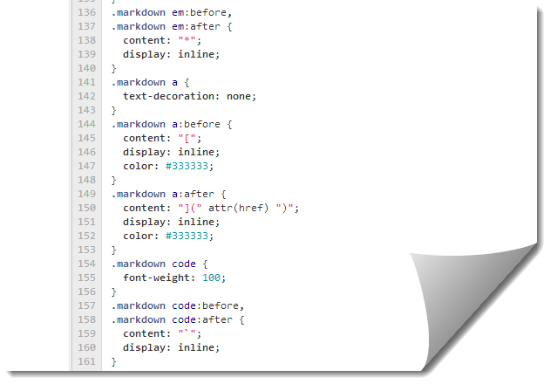 By the way: Markdown.css has an additional bookmarklet which lets you markdownify any website you are surfing on.